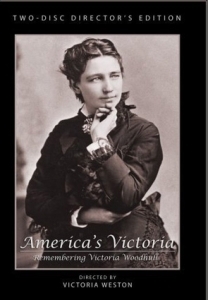 At Victoria C Woodhull (“VCW”), we value and protect your privacy. We thank you for the trust that you place in us and we want you to know that the information you share with us will be treated with care. VLW does not sell or lease its customer contact information lists to third parties. We do not collect information through “Cookies”. When visiting VCW, you may choose not to provide us with any personal information, by choosing not to register or to login. When you browse VCW in this way, we will not link your information with the account(s) you may have with us. At VCW website via special promotions that you can submit information, including about other people that you may order a gift online for that is delivered to that recipient. We may collect the recipient’s name, address, e-mail address, and telephone number for future promotions. We do NOT share any personal information such as contact information. Account Service Communications. We may send you communications related to VLW products and services in which you are enrolled (subscription and membership communications). VLW respects the choices that you make regarding your privacy. You may request that we no longer send you e-mails and/or offline offers or promotions, or share your information with our Business Partners that are interested in providing you with offers and promotions that may interest you. If you do not want to receive future offers or promotions from VCW via e-mail, please click here. If you decide to opt-out of VCW emails, simply follow the links at the bottom of the email to UNSUBSCRIBE. Please note that even if you opt out of receiving e-mails and/or offline offers or promotions, we may continue to send you service notifications via e-mails or offline means that are related to your account(s) and other products and services you have requested or in which you are currently enrolled. These include e-mails that provide account information (including information about the expiration and possible renewal of any subscription you have with VCW based on your customer status), answer your questions about a product or service, facilitate or confirm a sale, or fulfill a legal or regulatory requirement.